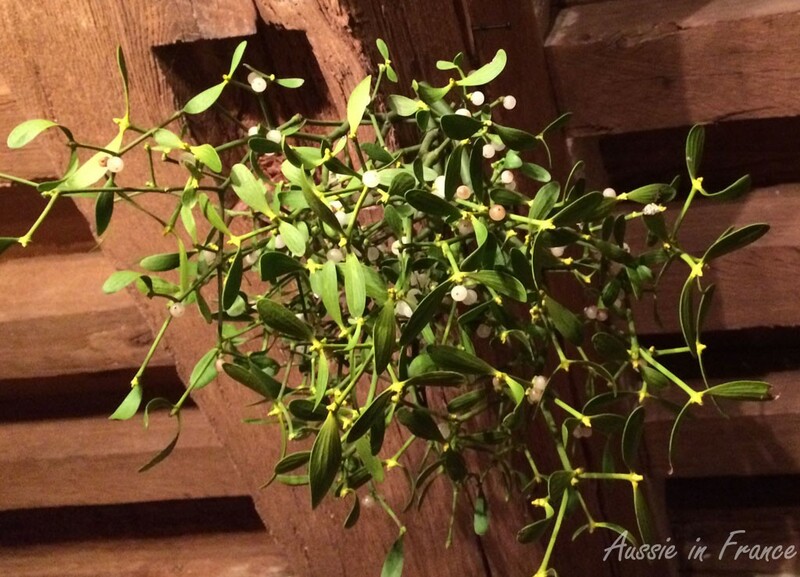 Happy New Year 2016 – Bonne année à tous ! It’s New Year’s Eve and there are just the two of us, in front of our fireplace. We’re not having anything complicated to celebrate the New Year. I once spent all day making a special dish that took forever and I didn’t think it was worth the trouble so we’re mainly having Christmas leftovers (unfortunately, we’ve finished our homemade foie gras). We’re having champagne though. I ask Jean Michel if he remembers his resolutions for 2015 and he just looks at me. “I have the bits of paper I wrote them on”, I say. So we have a look. Out of Jean Michel’s six resolutions, only one has come to fruition, but it’s the most important: “finding a better balance after retirement”. The last is also taking shape at the moment, namely improving his English. As we’re off to Australia for a month in mid-February, it’s more than important – it’s essential. I then take a look at my five and burst out laughing. My score is even worse. The first was to average 10,000 steps a day. I check it out on my iPhone app – 5,500. I try and console myself that for someone who spends a lot of the day in front of a computer, it isn’t too bad. The second was to make a video for each Friday’s French post. Well, that’s a laugh! I don’t even write a Friday’s French post every week. I’m lucky if I write one a month though I wrote two recently in the same week J. Number 3 was to sign up for Italian lessons. Yes, well, that didn’t get very far! January didn’t seem the ideal time to start because the class was already well underway and in September we went away for a month’s holiday. I might wait until I retire! My fourth resolution was to help Jean Michel improve his English but he was far too busy all summer to be learning another language. However, now that he’s started listening to Michel Thomas again, I’m being very supportive. Number 5 was to stop complaining and look on the positive side of life. I’m not sure about this one so I ask Jean Michel and Black Cat. They seem to think that I am positive on the whole and don’t complain most of the time so I guess that I can see it’s been mostly achieved. So now I’m wondering what resolutions I can put on the agenda this year and, do you know, I can’t think of any so I thought I might make a quick review of the year instead. The most important thing is Jean Michel’s adjustment to retirement. I’d love to join him but I still have another 3 years and 4 months to go unless I suddenly strike it rich which doesn’t seem likely. After all Jean Michel’s hard work, we now have a wonderful kitchen window that looks out onto our little wood and gives us endless pleasure, especially bird watching now that we have outwitted the neighbour’s cat. I don’t miss my life in Paris even remotely though I do miss my friends. I have been there only four times since we moved at the end of October 2014. 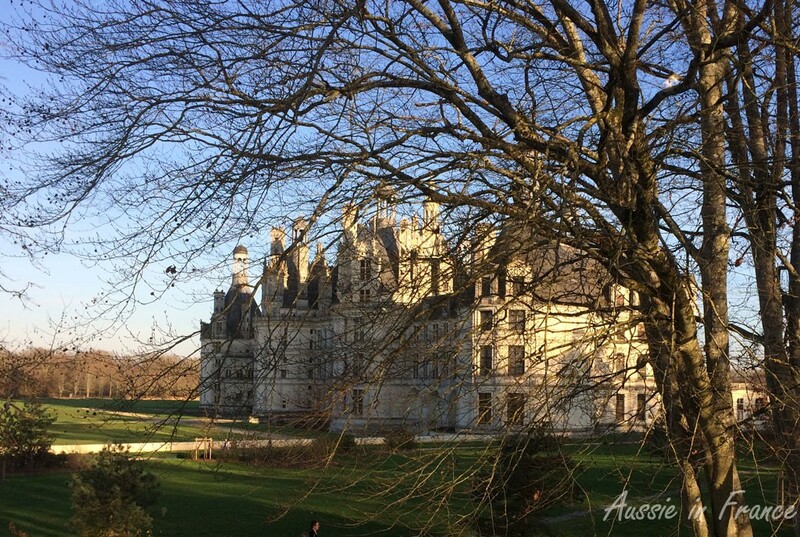 We try to make the most of living (almost) in the country and among some of the most beautiful châteaux in the world. Chambord remains our favourite because you can go there any time for a walk, a bike ride, an ice-cream or a crêpe. We have taken full advantage of all the cycling possibilities offered to us. I don’t blog a lot any more as you may realise. My readership went from 12,000 views a month in December 2014 up to 18,000 in May 2016 then down to 10,000 in December 2015. I lost a few subscribers in December but I quite understand that my reflections on bird feeding and walking in Blois are not nearly as exciting to most people as living in the Palais Royal! My “star” post is still “The Best Area to Stay in Paris”. 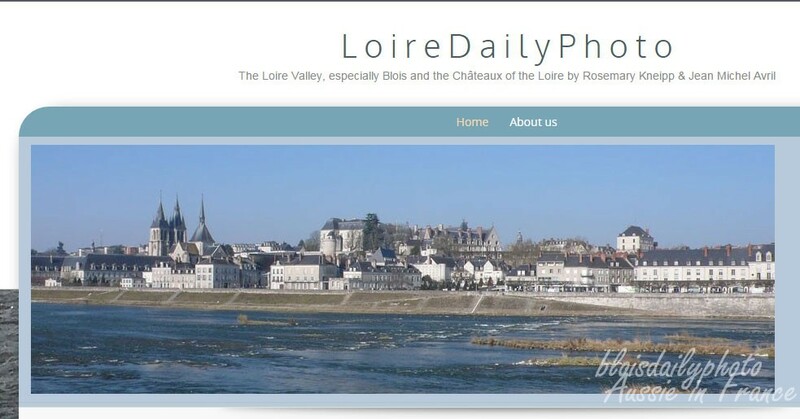 My other blog, Loire Daily Photo, dropped from 1200 in December 2014 to 1,100 in December 2015 after climbing to 1,600 in May. I wonder what was going on in May last year? However, despite the small audience, having a daily photo blog makes me much more aware of my surroundings and more interested in local history. I don’t feel I have quite found my rhythm yet, but I can feel it coming. In any case, I’d like to wish all my readers a wonderful 2016 and thank you for stopping by. 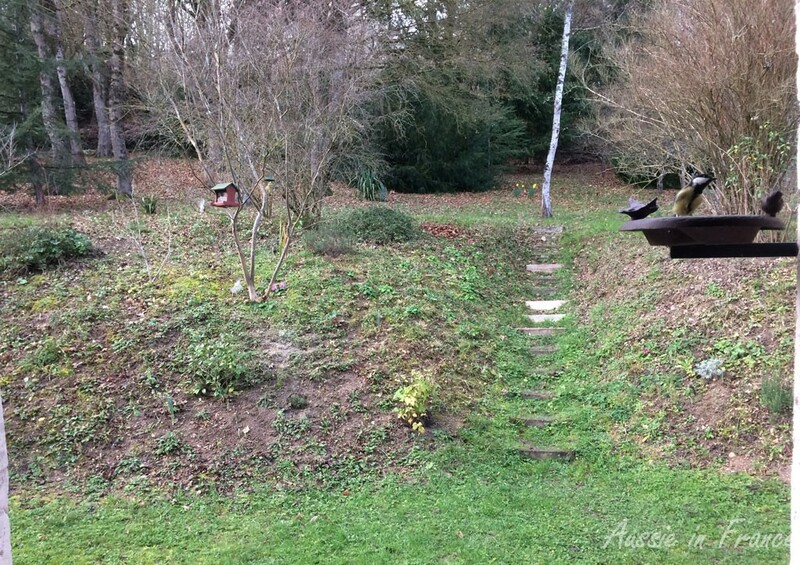 This entry was posted in Blogging, Closerie Falaiseau, Flowers & gardens, Loire Valley, Renovation and tagged blogging, new year resolutions. Bookmark the permalink. 13 Responses to Happy New Year 2016 – Bonne année à tous ! Thank you Rosemary for your insights into French living. All the best for 2016. Hi Barb, I can still remember the pleasure I got from your introductory email the first Christmas after I started the blog. Hope 2016 holds many wonderful moments for you. Until you mentioned it in this post l was unaware you also did this blog, so add one more to your number tally as l will be looking in. 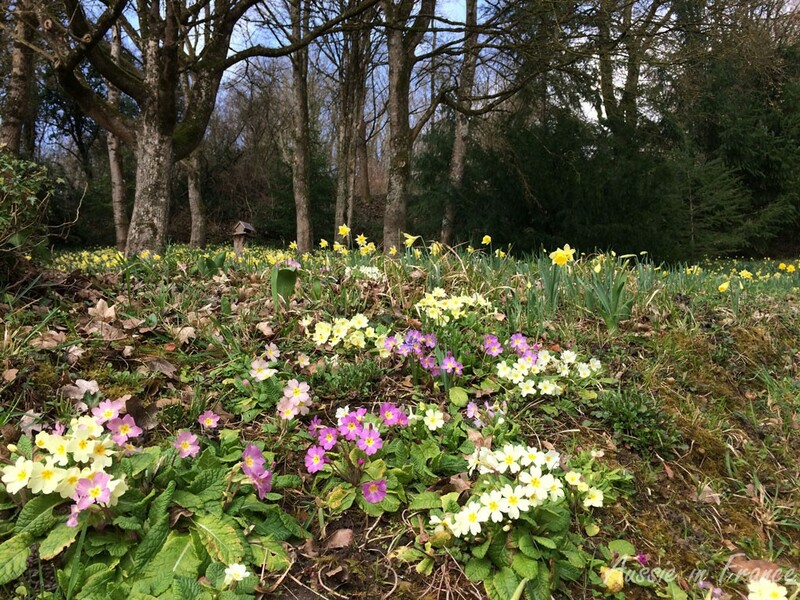 Hi Margaret, hope you enjoy Loire Daily Photo! Thank you William. Welcome to 2016 too! Happy New Year to you two too. May you remain in good health and continue to enjoy Blois and surrounds. We’ve finished our foie gras too. Thanks Susan. Good health and many bookings for you as well. We found our foie gras particularly good this year. Perfect way to spend New Year’s Eve. 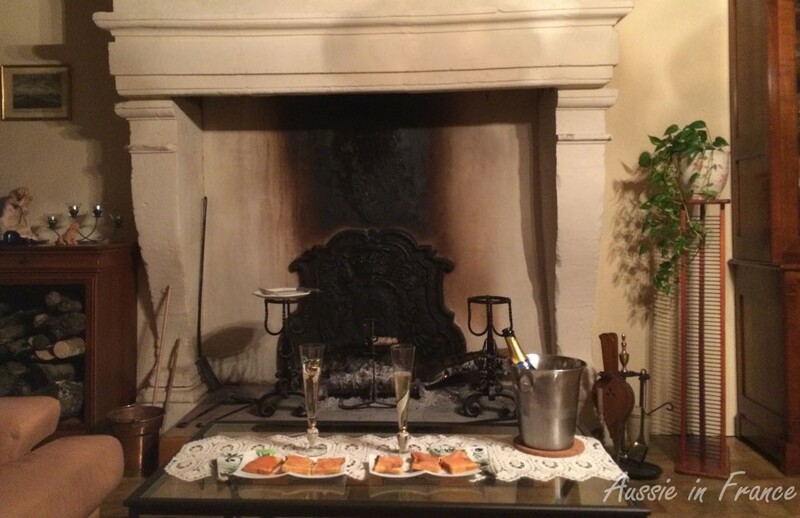 A wood fire in a beautiful fireplace; some elegant flutes of champagne; I think I spy smoked salmon; and your soulmate. What could beat that? All the best to you both for 2016. Exactly, I think it’s the perfect way to spend New Year’s Eve! There was once a time when I didn’t think I could live anywhere else in the world but Paris. Just goes to show! As Susie Kelly said, a perfect way to spend New Year. In fact, ditto all her comments. Happy writing and travels throughout the year. Thanks Helen! The same to you!